Have you always wanted to do more on that Nexus Device like root, unlock or relock bootloader, backup and restore with ease? and lots more using your PC with just few clicks of the mouse. 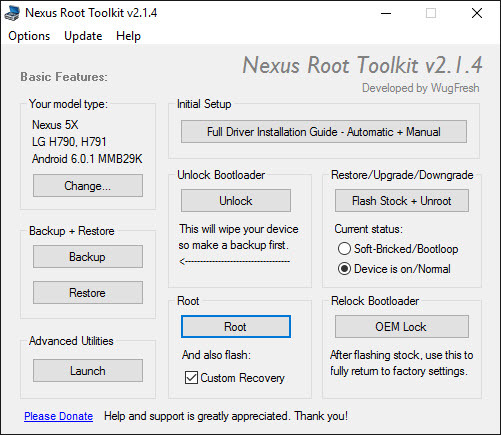 -Version 2.1.4 has root support for some android 6.0 marshmallow devices. Dis Virus Welcome back KINGZ with your good works keep it up we are besides you anytime anywhere one love.